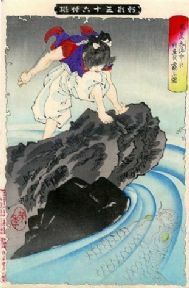 This vintage Japanese poster shows a samurai warrior on a small cliff edge which hangs over water. 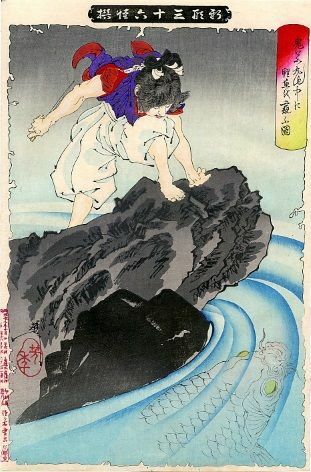 The samurai is lurking above a giant koi fish. Koi fish are associated with samurai warrior because of their bravery swimming upstream and their high sense of integrity.